The solution for your storage needs! 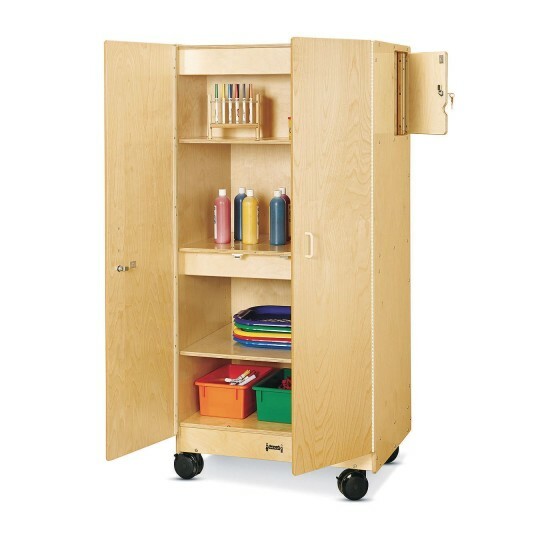 Large, mobile teacher cabinet is great for storing a multitude of items. Features a separate, securable storage area for valuables and personal items. Four, full-width storage areas – including one shelf that is adjustable – make it easy to accommodate your storage needs! Measures 64"H x 30"W x 24"D.